The C-64 first appeared in 1983, and was a natural follow up to it's smaller cousin, the Vic-20. Although a business use was hinted at, the Commodore 64, in the end, was all about entertainment. Armed with 64K RAM, a 6510 processor supplemented by a VIC-II graphics chip and SID chip for sound, the C-64 had memory, flashy graphics and octaves to spare. Assisted by aggressive pricing and a world-wide distribution, this unassuming "breadbox" computer with the mushy keys made the home computer market its own. It could justifiably be called the “Most Popular Home Computer Ever”. This despite the fact that its built-in BASIC at a mere 8k was woefully sparse and had no facility apart from POKEs to actually control that wonderful multimedia chipset. Luckily assembly language was up to the task, although the average home user found it hard to speak that tongue. This unit arrived with his own manuals, the odd cartridge, tape deck and some tape software. It's in pristine condition and obviously hasn't been a kid's plaything or thrown somewhere in a toybox. However, I gotta tell you that a few days after arrival this unit met with a serious accident. Stray static from a wayward finger on the joystick port caused a keyboard malfunction. This required surgery but once the offending chip was replaced, this little fellow returned to his happy exuberant self. Software's no problem. An SD2IEC card stocked with disk images gives me more than enough. I have a 1541 disk drive for this unit too. Using the drive and an X1541 device, Internet-sourced software can be written to real disks. 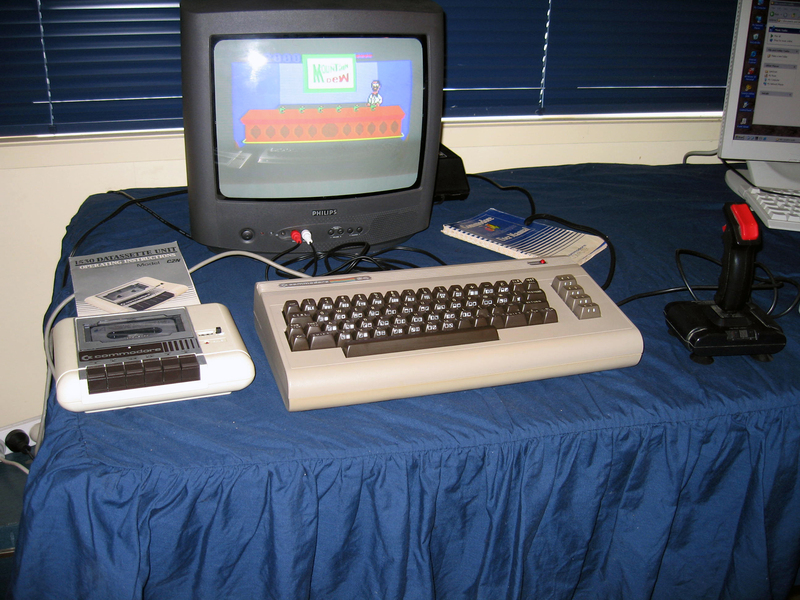 The Commodore 64: As common as mud out there, but a true classic nevertheless!